Ask anyone what they know of the Isle of Man and they generally mention one thing: motorbikes. Britain's largest offshore island is massively famous for its annual International TT Races, a thrilling event that draws thousands here for a week-long fiesta of speed that more or less takes over the entire island – this year from June 2 to June 8. The TT is an amazing, iconic occasion, and one that perhaps every bike enthusiast should experience once. But non-bikers should know that the Isle of Man has plenty to recommend it at other times of year, not least its scenic and gloriously rugged landscape, green rolling hills and sandy beaches, and the fact that it not only has the oldest continuous running parliament in the world! It's also the only part of the UK to be awarded the status of UNESCO Biosphere in recognition of the uniqueness of its habitats and population We get the full lowdown from the leading coach holidays operator to the Isle of Man – Grand UK Holidays. The island's highest point – the impressive mountain of Snaefell – is pretty special, in that you can see the whole of the UK from its peak: a spectacular view that takes in England, Scotland, Wales, Ireland, and, some say, the mythical Manx land of Manannán. It's easy enough to reach on foot, and takes around 45 minutes to climb, but those not up for the walk can take the Snaefell Mountain Railway, a Victorian-railway line that scales the mountain in a leisurely manner between April and October, giving you the chance to take in the stunning scenery on the way. The Victorians were also responsible for the Manx Electric Railway, which has been running since 1893 around the east coast of the island, and mostly still uses the original Victorian and Edwardian infrastructure. 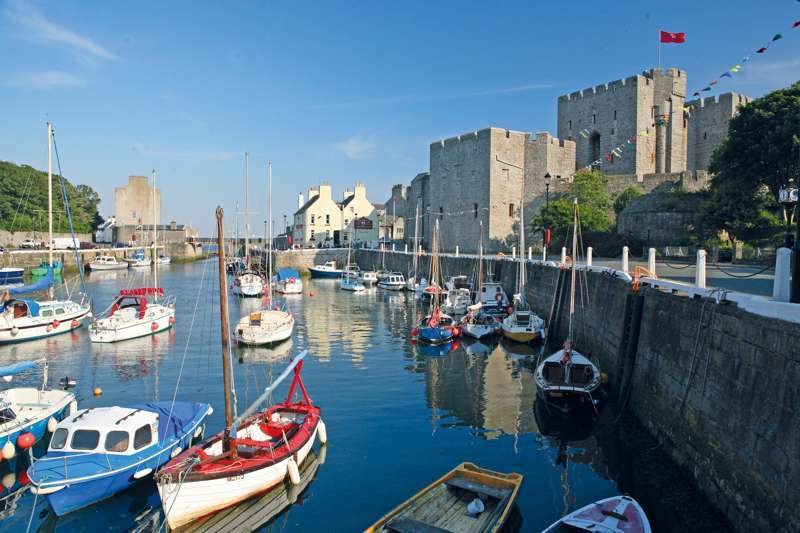 Consider also taking the Manx Steam Railway which travels through the south, winding its way through an ever-changing landscape to Castletown, home to many fun attractions, including medieval Castle Rushen and the old House of Keys, now a museum (Castletown was the Manx capital until 1869). Stay on the line a little longer you’ll find yourself at Port Erin, a fabulous coastal town and home to the Steam Railway Museum (if it all looks a little bit familiar, it's because it doubled as the island of Sodor in Thomas the Tank Engine which was filmed on the Isle of Man). Port Erin is tucked away in a sheltered bay, with the cliffs of Bradda Head behind and a golden sandy beach in front. The Foraging Vintners Craft Winery here make eco-friendly wine using home-grown products, while for food you could do worse than repair to the excellent Station Inn on the seafront for homemade food and friendly service. There's more spectacular Victorian manufacturing in Laxey, where the Great Laxey Wheel is the largest working waterwheel of its kind in the world. Also known as 'Lady Isabella', it served the local mines for 70 years from its site overlooking the Glenn Mooar Valley. After a visit you can explore the mines themselves, before crossing the island to Peel, the island's lively west coast fishing port, dominated by Peel Castle. Originally built by the Vikings, though much modified since, it's ruined now but well worth a visit. Afterwards, take in the town's modern marina, where you can have an ice cream and browse the shops, or pay a visit to one of Peel's many museums – the Manx Transport Heritage Museum (for more Victorian relics), the Leece Museum which displays photos, relics and documents specifically relating to Peel, or the House of Manannán, dedicated to the Sea God Manannán. At certain times of the year, you can also spot basking sharks, when these creatures that grow to the size of a bus swim up close to the shore to feed. All in all the Isle of Man is a surprising and extremely scenic destination – well worth considering for at least a weekend break when the bikers have gone home!